mostpure management accountingcontent. The other two programs contain greater coverage of financial accounting topics.Managerial Accounting for Managers3e is geared towards professors who love Garrison’s market-leading managerial accounting content but prefer to approach their course by eliminating the debits and credits coverage. 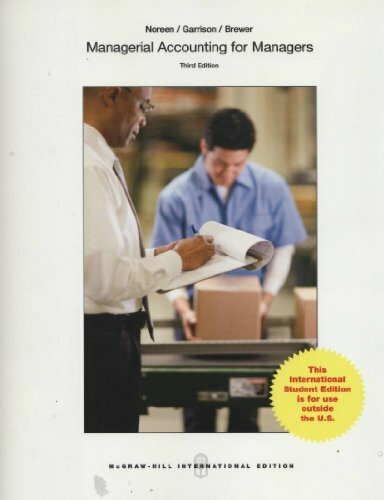 The Noreen solution includes the managerial accounting topics such as Relevant Costs for Decision Making, Capital Budgeting Decisions, and Segment Reporting and Decentralization, however, the job-order costing chapter has been extensively rewritten to remove all journal entries. 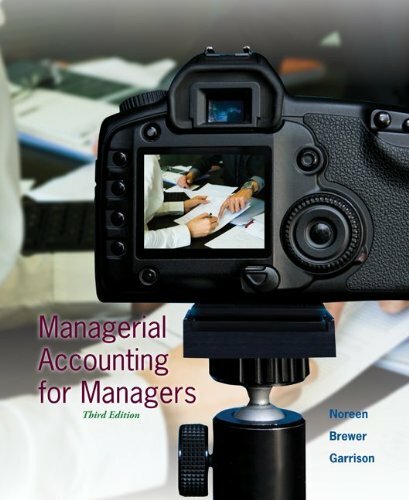 Furthermore, the chapters dealing with process costing, the statement of cash flows, and financial statement analysis have been dropped to enable professors to focus their attention on the bedrocks of managerial accounting—planning, control, and decision making.McGraw-Hill’sConnect Plus Accountingoffers a complete digital solution combines all the great features ofConnect Accounting, along with access to an online version ofManagerial Accounting for Managers 3e, so that students can easily refer back to the text for review and guidance. This media rich eBook links directly to tutorials and online resources and offers additional functionality like taking notes and highlighting key passages for reviewing later.Contained withinConnect Plus Accountingis McGraw-Hill’s adaptive learning system, LearnSmart, which is designed to help students learn faster, study more efficiently, and retain more knowledge for greater success. In addition, Interactive Presentations deliver learning objectives in an interactive environment, giving students access to course-critical content anytime, anywhere. Guided Examples provide students with narrated and animated, step-by-step walkthroughs of algorithmic versions of assigned exercises.